Prof. Povl Brøndsted leads a research program on composites and material mechanics at the Materials Research Department in the National Laboratory for Sustainable Energy at the Technical University of Denmark. 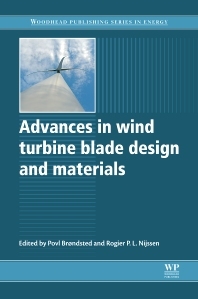 Dr Rogier Nijssen is a research scientist at the Knowledge Centre Wind Turbine Materials and Constructions, The Netherlands. Their research has been both in research contracts and in public projects. Brøndsted and Nijssen have worked together in material research consortia such as the European Optimat and Upwind projects.